Bypass Samsung Frp Lock 2018 Patch Android V7.1.1(Calculator & DRParser Faild Fix Final Solution). 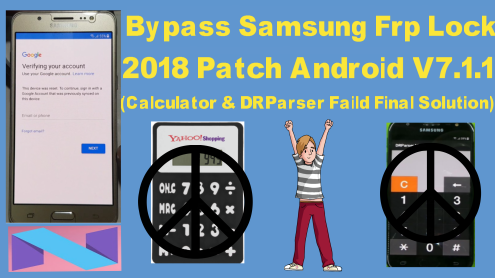 Bypass Samsung Frp Lock 2018 Patch V7.1.1 Required File. Samsung Frp Lock 2018 Patch Lock Remove Method.